As the economy soured so did the credit bubble and the business of collecting bad debts mushroomed. When a loan goes south, the lender will often sell the debt to a third party collection agency. On average the debt collector will pay 4 cents on the dollar for that debt! Then try to get you to pay through calls, letters, threats of legal action and sometimes bad legal practices. A new report from the Federal Trade Commission found out of 90 million consumers accounts sold (totaling $143 Billion) that the original lender very often provided no assurance that the information they are selling is accurate and tend not to give enough info even for the debt buyer to verify the debts, which means you have plenty of room to challenge them! Don’t be fooled and don’t be intimidated. Even if you owe the debt you have the right to have it validated. 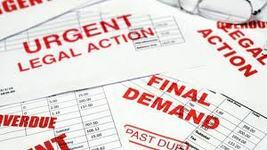 Under the FDCPA (Fair Debt Collections Practices Act) you are entitled to demand proof of the debt you are being asked to pay. If what the FTC is reporting is true, then there is a good chance the collector will be unable to prove it and that collection must stop and any credit reporting must be withdrawn. Name dropping has power; be sure to let any collector know that you understand your rights under the Fair Debt Collections Practices Act. Be aware of the statute of limitations. Too often debt collectors are reviving old outdated debt and targeting seniors and the financially distressed and threatening legal action. Be sure to get the date of the original debt along with the other details. Each state has a statute of limitations on collecting a debt after which the debt is no longer collectible. Check with your state. In every case, get the contact information, name and address of the company (“IF” I were to make a payment, where would I send it? Don’t say you will pay it as this could be used against you). You will need this to send a “Cease & Desist” letter demanding that all contact be done by US Mail. In addition, demand (by certified letter return receipt requested) that they provide all four proofs before the debt can be collected. In an overview: Lenders give collection agencies lists of debts that may or may not be accurate—with incomplete documentation—which consumers are asked to pay. The FTC asserts that collectors try to collect on over a million debts each year that consumers say they do not owe. The FTC receives more complaints about debt collections than any other service. This entry was posted in Debt collection and tagged business, collecting a debt, collecting bad debts, collection agency, debt buyer, debt buyers, debt collection, debt collectors, economy, Fair Debt Collection Practices Act, FDCPA, federal trade commission, statute of limitations. Bookmark the permalink.